When I saw Nina's fall leaves I was inspired to make trees. 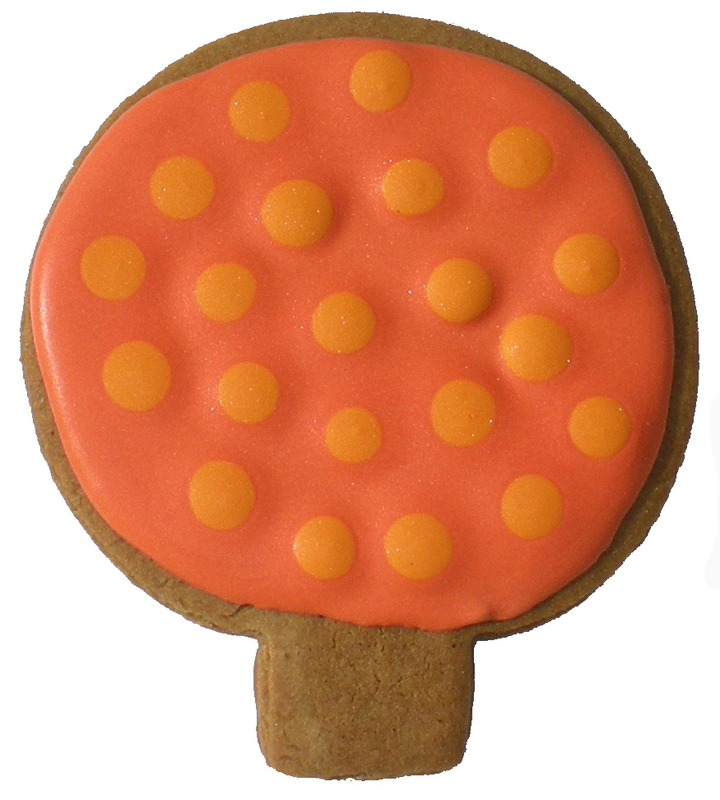 I got the icing too thick and had trouble flooding - more than one cookie was scraped off and iced again. 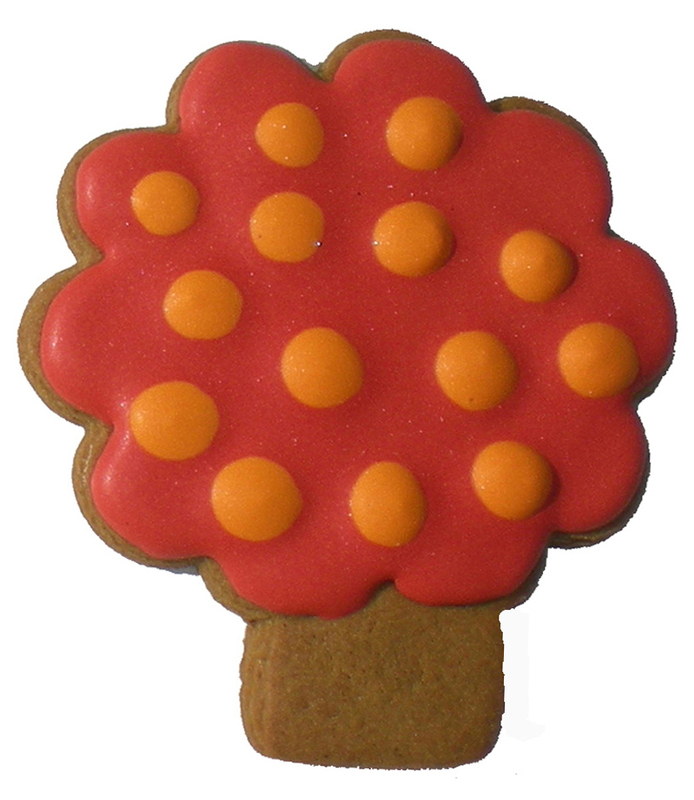 The yellow icing was thinner and the orange dots sunk right in - I like the look of more three-dimensional dots on the other two trees better. I have a lot of cookie cutters but I don't have a tree - except of course for a Christmas tree and I have several of those. Inspired by Sugarbelle (this link is to just one of her posts on combining cutters) I put a few cookie cutters together - a flower and for the trunk a snowman's hat up-side-down. This tree is an up-side-down Christmas ornament. 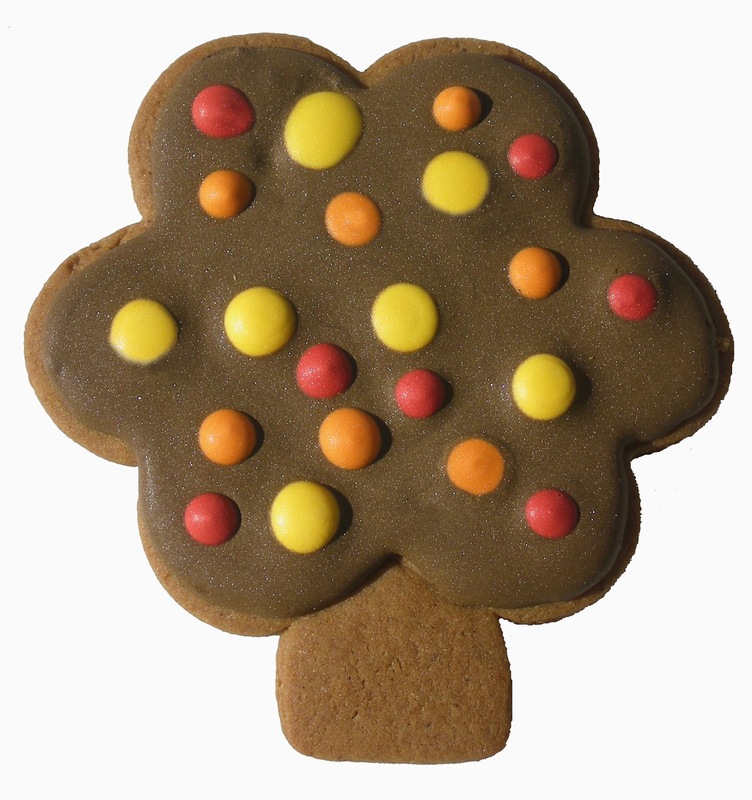 I never did make a cookie ornament that I liked - but for a tree it's perfect. And this tree is a heart with the point rounded and the snowman's hat again - both up-side-down. I had icing left over from some "bare" trees (next post) and tried a brown tree. It was disturbing since it LOOKED like chocolate but didn't TASTE like chocolate - even more disturbing when I ate it! Brown or chocolate icing on a sugar cookie would work but chocolate icing on a ginger cookie doesn't sound good to me! 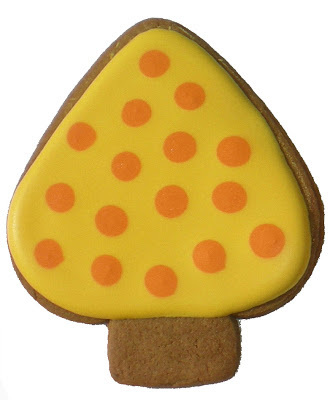 The yellow cookie looks to me to be shaped more like a juniper tree. 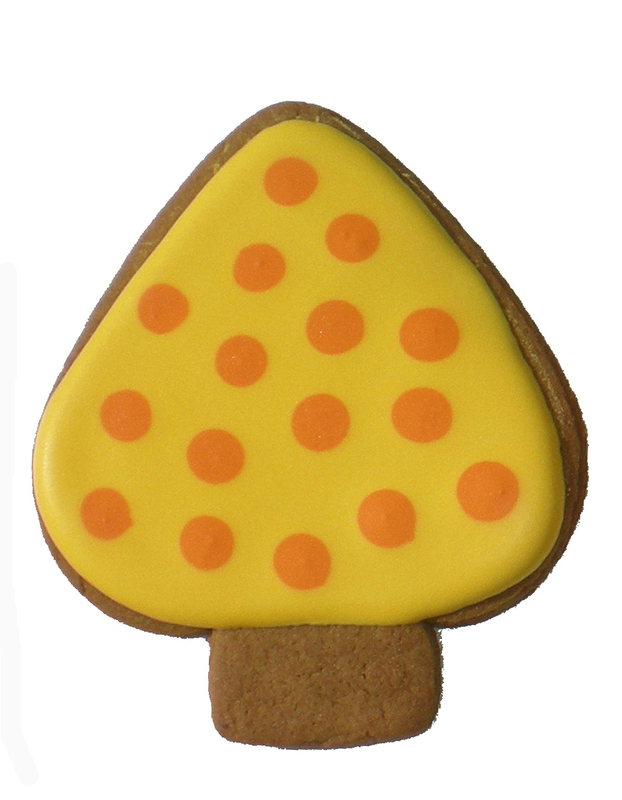 I bet chocolate on a ginger cookie would be good!! !